Login To Facebook Without Entering Password On "Desktop". Follow These Steps To Enable Facebook One Tap Login Feature. On Your PC, Launch A Browser Which You Use To Browse Facebook Because If You Use Another Browser Then You Have To Again Set Up This Feature. So, Use That Browser Which You Often Use To Browse Facebook. Visit Facebook And Login To Your Facebook Account As You Do Normally. After Logged In, Tap On The Facebook Menu(Drop Down Arrow Button At Last) And Choose "Settings". Under Settings, On The Left Side Choose "Security And Login" Section. Scroll Down To "Login" Section, And Click On"Edit" Option Next To "Login Using Your Profile Picture". After It, There'll Be Two Options Will Expand, Click On The First One "Turn On Profile Picture Login" Under This Browser Highlighted Text. After You Tap On It, The Page Will Reload.That Means, Your Changes Are Saved.You'll See This(See Below Picture).To Turn Off This One Tap Log In Just Tap On "Turn Off Profile Picture Login". Launch Your Facebook App On Your Device.Login To Your Facebook Account. Tap On The Last Tab Of Facebook(Hamburger Type Icon At Last Near Notification Tab). Scroll Down, Find And Tap On "Account Settings" From Facebook App Menu Tab. Under Account Settings Of Facebook App, Choose "Security" Section. Under Security Settings, Scroll Down And Under Log In Section, Choose "Login With Your Profile Picture".You'll See A Full Page Of "Remember Password" With Two Options "Not Now" And "OK".Tap On OK To Confirm.That's It.Now Go Back To Facebook Menu Tab.And Log Out. After Logged Out, You'll See Your Profile Picture.Just Tap On It.Boom! 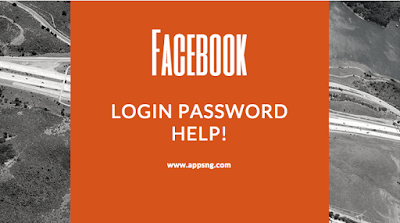 !You'll Be Login To Facebook Without Entering Password.Just One Tap And Login.No Password Required. I Don't Know Either This Method Works For Other Browser Because I've Only Tested It On"Google Chrome" Browser, You Can Try It To Other Browsers Also. Launch Google Chrome Browser On Your Android Device.Visit Facebook Website. Go Last Tab On Facebook Which Is Of Menu(Hamburger Type Icon). Scroll Down, Find And Choose "Account Settings" From Facebook Menu In Chrome Browser. Under Account Settings, Choose "Security And Login" Option. Under Security And Login Section, Scroll Down To "Login" Section And Tap On "Login To Facebook Using Profile Picture" Option.Under "This Browser" Section Click On"Turn On Profile Picture Login". After It, Page Will Reload And A Message In Blue Color Will Appear - Profile Picture Login Is On. Go To Facebook Menu And Log Out From Facebook.You'll See Your Profile Picture.Just Tap On It.You'll Be Login To Facebook Automatically.